Water systems that use water purification methods such as reverse osmosis (R.O. ), distillation, ultraviolet, and ozone produce purified water. There are other purification methods, but these are the most common. Water systems that use filtration methods such as adsorption, carbon, activated carbon, kinetic degradation fluxion (KDF), and particulate filtration produce filtered drinking water. Most people tend to use the terms water purification and water filtration interchangeably. However, in the water industry, they are not the same. All of the different water filters on the market use one or more water filtration and/or water purification methods. The following is a summary (in non-techy language) of the most common technologies used for water purification. The reverse osmosis (R.O.) water purification method involves forcing water through a semi-permeable membrane. The membrane filters out minerals such as salt, lead, manganese, iron and calcium, as well as certain chemicals. In addition, the process removes naturally occurring minerals in the water that are essential to health, such as calcium and magnesium. From my personal and professional experience, I believe drinking de-mineralized water is unhealthy. For this reason, I do not recommend water filters that use reverse osmosis or distillation as a water purification method. In addition to the health disadvantages, reverse osmosis filters waste three gallons of water for every gallon they filter. This is certainly not a good way to help protect our world water supply. Water distillers boil water to collect the steam, leaving behind many contaminants. The steam is then returned to its water form in a purified state. In addition, distillers de-mineralize the water, making it unhealthy to drink. The other major disadvantage with distillers is that they are highly inefficient, wasting approximately five gallons for every gallon of water that is filtered. In addition, the distillation method is expensive because it takes a lot of time and energy to heat the water. Typically it can take up to four hours to produce one gallon of water. The ultraviolet water purification method is highly effective at killing bacteria, viruses, molds, algae, and other micro-organisms including Cryptosporidium and Giardia, two of the most common causes of waterborne illness. However, because UV systems do not remove most chemical contaminants or sediment, they are not considered effective for drinking-water systems. This technology is often only used in whole-house water filtration systems and in combination with other technologies. The good news about the UV method is that some municipal water treatment plants are starting to experiment with using ultraviolet treatment in place of chlorination for disinfection. Many experts believe UV treatment is just as effective as chlorine for killing bacteria and other pathogens. UV treated water is certainly healthier than chlorinated water. Ozone is effectively destroys bacteria and other unhealthy microorganisms in water. It is often used in conjunction with other water purification or water filtration technologies. It is not effective in reducing levels of chemical contaminants, although some say that it breaks down harmful chemicals into less dangerous molecules. Municipal water that is ozone treated for disinfection is not the same as drinking water produced from ozone generators. 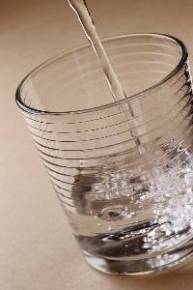 You can read more about ozonated drinking water here. For long-term, daily use, we recommended filtered drinking water over purified water for a number of reasons. The primary health reason is that numerous studies have shown that mineral-rich drinking water is the healthiest. Both reverse osmosis water and distilled water are de-mineralized. In addition, even though reverse osmosis does remove many contaminants, it does NOT remove some critical contaminants as mentioned above. Certain water filtration systems will remove these contaminants while leaving the minerals in the water.